Cat Stevens, born Steven Demetre Georgiou in 1948 is a philanthropist, multi-instrumentalist, singer-songwriter, with a net worth of $5 million. His net worth is earned with his talents as versatile musician, songwriting, solo performances, albums, and singles. His interest in music started early in his life, first by piano playing working out chords by himself. 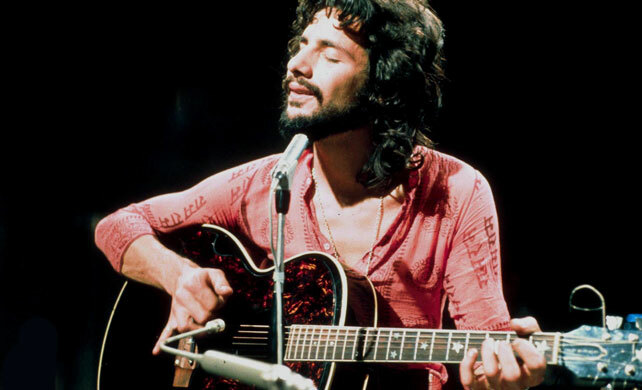 A 15-year-old Cat Stevens extended his musicality to guitar playing and songwriting and art. Originally, he intended on becoming a cartoonist and took a course at Hammersmith School of Art for a year. Although he established himself as musician, he used his own art on album covers. From 1965 at age 17, he used the stage name Steve Adams, instead of his birth name and it was under this name that the famous “The First Cut Is The Deepest” was also performed. For this song, he was awarded two, Songwriter of The Year Awards. The final album released in late 1978, Back to Earth, was performed under the newly changed name, Cat Stevens. The below financial data is gathered and compiled by TheRichest analysts team to give you a better understanding of Cat Stevens Net Worth by breaking down the most relevant financial events such as yearly salaries, contracts, earn outs, endorsements, stock ownership and much more.